Moleskine notebooks have long been a staple for artists and authors past and present; Ernest Hemingway, Pablo Picasso, and Vincent van Gogh were all devoted fans. 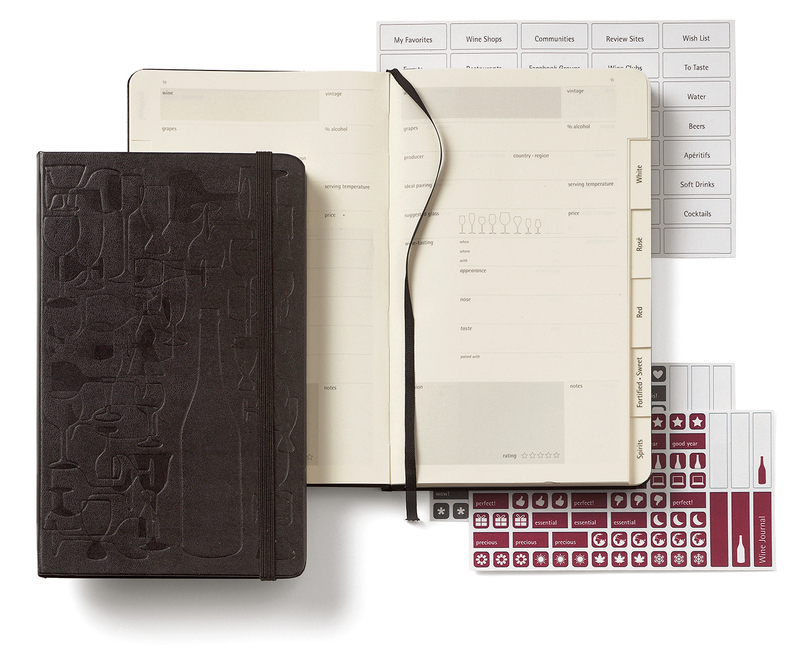 Now, oenophiles have their own version: the Wine Passion Moleskine, specially tailored for wine lovers. The notebook has that legendary Moleskine feel, along with an expandable inner pocket, and dividers for different wine types that allow the organized connoisseur to record details such as the region of origin and tasting notes for their favourite vintages. Each page also has a chart of glasses in varying shapes and sizes, so the taster can circle the glass best suited to each wine—a handy reminder for the next pouring.